Learning Center in Natick and RCS Behavioral and Educational Consulting recently presented at the Berkshire Association for Behavior Analysis and Therapy (BABAT) Conference in Amherst. NATICK, Mass. - Nov. 17, 2017 - PRLog -- RCS Learning Center Executive Director and Chief of Research and Application, Dr. Christina King, PhD, and Colleen Yorlets, RCS Chief Clinical Specialist, co-chaired the panel and led the discussion at the University of Massachusetts on Preparation and Oversight of Early Career BCBAs. Multiple RCS staff served as panelists, including RCS Learning Center Clinical Director Meg Breault, and Lillie Joyce, Clinician. They were accompanied by Dr. Russell Maguire and Dr. Ron Allen of Simmons College, and Dr. Nicole Davis of Northeastern University. For 30 years, Berkshire Association for Behavior Analysis and Therapy (BABAT), a respected resource for behavior analysts and others interested in the topic, has hosted an annual conference targeting many professionals, teachers, students, and anyone interested in the areas of behavior analysis, autism, developmental disabilities, ethics, behavioral medicine, staff development and more. The conference draws expert presenters and professionals in the field from across the US. Throughout the year, BABAT provides advocacy for practice, support for members' professional development, recognition of significant contributions, and the sharing of research and scholarship. "University faculty, practitioners, and employers of behavior analysts all share the task of preparing new and future behavior analysts for their roles across various settings and populations," said Colleen Yorlets, Chief Clinical Specialist for Realizing Children's Strengths. "Regardless of the quality of graduate programs, practicing behavior analysts acquire and develop additional skills and methods in the field, making oversight beyond graduate school essential. In order to ensure the effectiveness and success of early career BCBAs, adequate ongoing support and feedback is critical." Realizing Children's Strengths (RCS) Learning Center is a not-for-profit organization and global leader whose mission is to provide the highest quality of individualized behavioral and educational research and services for children with Autism Spectrum Disorders and other developmental disabilities. Founders Denise Rizzo-Ranieri and Louis Ranieri combined their many years of successful behavioral and educational consulting with a leading team of experts and over a decade-ago developed the Natick school that exceeds the standards for teaching students with autism effectively through intensive, quality 1:1 interactive education. 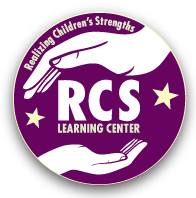 The RCS team believes every child has unique skills and they are dedicated to helping each child develop these skills and reach their full potential with an intensive staffing and supervision structure which enables the highest quality of comprehensive and individualized programming and services tailored to meet every student's needs. Realizing Children's Strengths, which currently serves 45 RCS Learning Center students and 26 school districts in MA, also provides unique training environments with a continued focus on developing vocational skills training through real-world job training on site and at partner locations. Highly respected industry leaders with award-winning services, RCS Learning Center is based in Natick, MA and is a 501c3b non-profit. More information is available at www.rcslearning.org and rcsconsultingne.com.